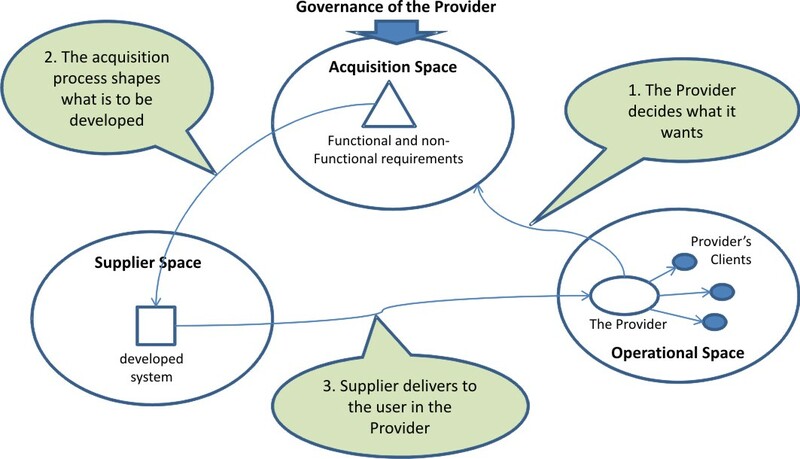 A provider-supplier may face new challenges when it becomes actively involved in supporting a client-purchaser’s experience of value. This depends on whether or not the client-purchaser’s experience of value is dynamic i.e. on the demand tempo at which the client-purchaser’s experience of value is changing. In the following diagram this is shown as a move into the top-right-hand quadrant. Acquisition tempo – the rate at which suppliers are able to meet new requirements. 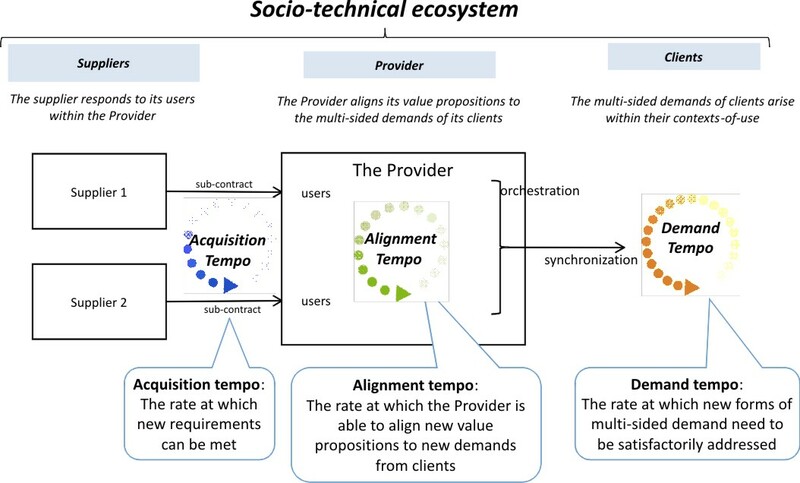 Alignment tempo – the rate at which the Provider is able to align new value propositions to new demands from Clients through processes of orchestrating and synchronizing multiple products and services, including those of complementors. Demand tempo – the rate at which new forms of multi-sided demand emerge from Clients that need to be satisfactorily addressed. ‘Design-time’ and ‘Run-time’ are ways of distinguishing a time prior to engagement with the Client during which a new proposition may be developed. ‘Run-time’ is the time within which there is a ‘live’ interaction with the Client. 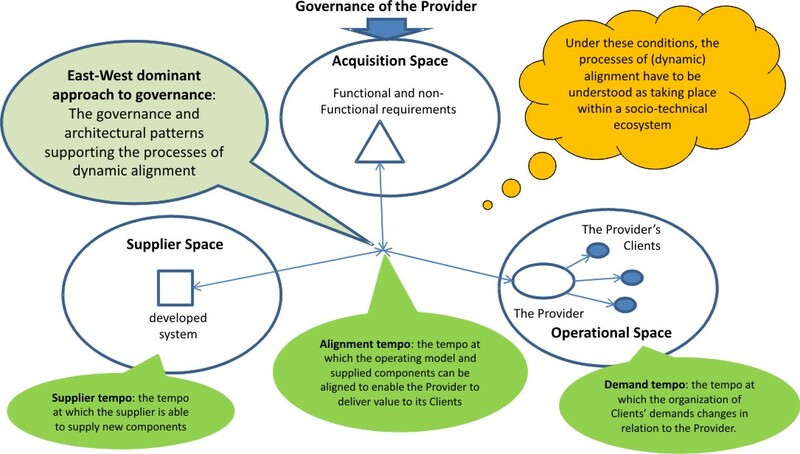 And no strategy ceiling therefore, since all aspects of the Provider’s response to the Client have to be ‘live’. 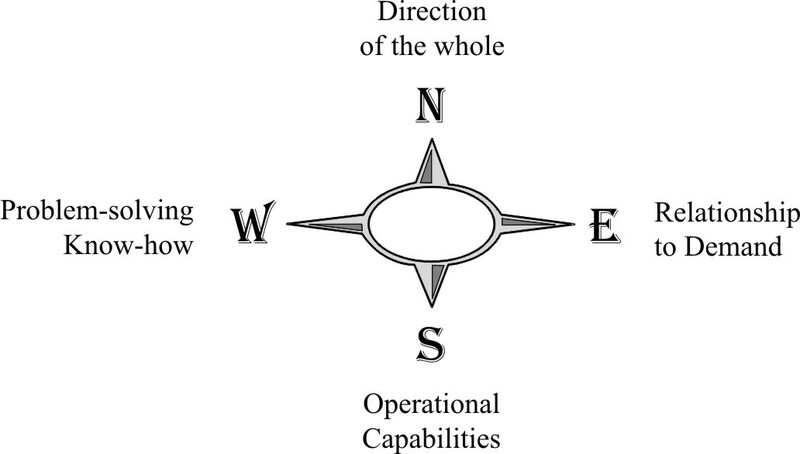 ‘West’ involves a double alignment because there is both an alignment of the interests of those exercising know-how and also an alignment by that know-how of ‘South’ capabilities to ‘East’ demands.